She made you breakfast, lunch, and dinner. She even made you do your homework! Now, it’s time to do something special for Mom. This Mother’s Day join South Bay Bible Church on Saturday, May 11, at 5:00 p.m. or Sunday, May 12, at 9:00 or 11:00 a.m. as we recognize mothers for who they are and all they do for us. South Bay is celebrating Mother’s Day with a special photo shoot, and we will be providing everyone who participates with an 8x10 photo and digital image at no charge. Get your picture taken before church begins, and simply pick up your photo after church finishes. We will honor all mothers, both young and old, and provide encouragement and help for the whole family! It is going to be an exciting day. “King Solomon, the wisest man who ever lived, said, ‘Many women do noble things, but you surpass them all (Proverbs 31:29).’ Each mom is uniquely made and very special,” said Martin Hawley, senior pastor. 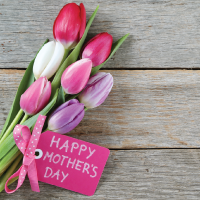 South Bay Bible church is excited to invite moms to attend this extraordinary Mother’s Day service, and every mom who attends will receive a special gift. We desire to be the place where all moms—single, stressed, stay-at-home or working moms, those who have lost children, those who have yet to have children, and those who have children with special needs–feel welcomed, cared for, and appreciated all the time. “This Mother’s Day don’t just give flowers! Bless her day in a way that shows her how deeply you care,” said Martin Hawley, senior pastor.